I have a good routine going now. Four nights at The Big Box J.O.B. and two nights at the gasbar – finances are in order, pre-paid bank accounts are being built up, my garden is “gardening”, and my book is selling. 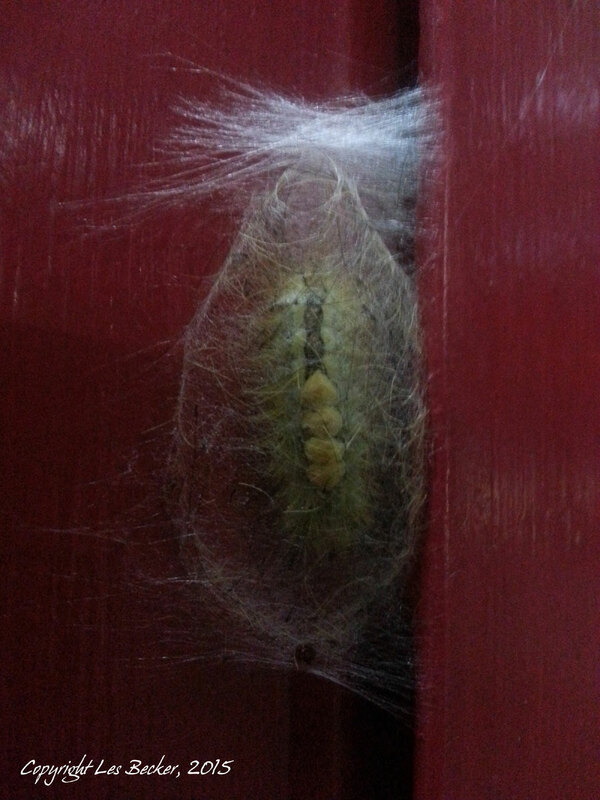 I feel like I’m in a safe little cocoon again – much like this little guy, who is hanging out in the door jamb of the gasbar.